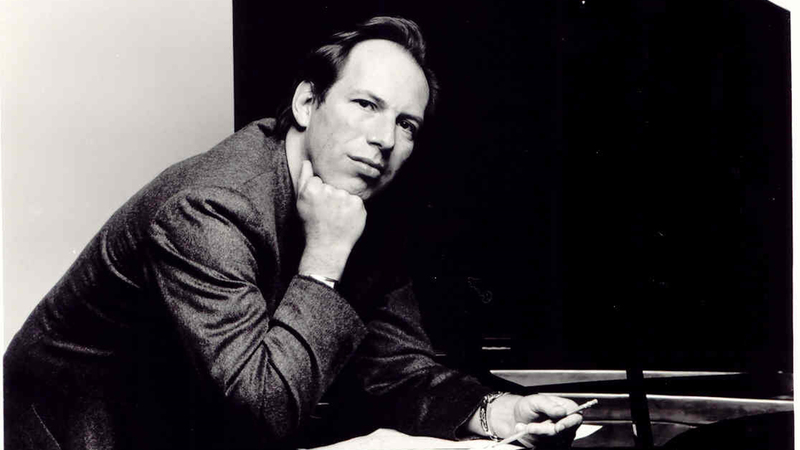 Hans Zimmer was born in Frankfurt am Main, Germany in 1957. Music was an escape for Zimmer, whose father died while he was a young boy. Zimmer eventually moved to London, and began pursuing keyboards and synthesizers without formal musical training. He began performing with bands like The Buggles in 1979. In fact, he can even be spotted in the music video for their hit, "Video Killed the Radio Star". He co-produced and performed on "The History of the World (Part 1)" with the band The Damned. It was that single in 1980, that he was credited - "Over-produced by Hans Zimmer". He also played synthesizer on albums for bands like Krisma in 1981, and the Spanish band Mecano in 1984, among others. Throughout the 1970s, Zimmer also composed commercial jingles for Air-Edel Associates. Upon meeting film composer Stanley Myers, they teamed up and formed Lillie Yard Studio in London. Together they co-composed scores, like Zimmer's first real film score Moonlighting (1982), Success Is the Best Revenge (1984), My Beautiful Laundrette (1985), Separate Vacations (1986), and Castaway (1986). Zimmer also joined composers David Byrne, Ryûichi Sakamoto, and Cong Su as a music associate and producer for The Last Emperor (1987). Zimmer began to branch out as a solo composer for Terminal Exposure (1987) and A World Apart (1987). Director Barry Levinson heard Zimmer's score to A World Apart, and hired him as the composer for Rain Man (1988). The synthesizer and steel drum-based music was a breakout score for Zimmer earned him his first Oscar nomination. The score was recorded and engineered by childhood friend Jay Rifkin, who would partner with Zimmer to co-found Media Ventures in 1988. In 1989, Zimmer composed his first action score, for director Ridley Scott - Black Rain (1989). 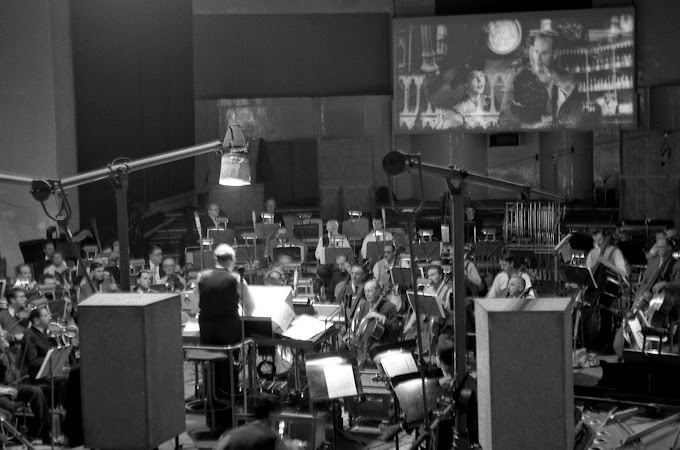 While the score was butchered in the final edit, it marked the first collaboration with Scott and orchestrator/conductor Shirley Walker. Zimmer added charm to the Southern drama Driving Miss Daisy (1989), which like Rain Man would win Best Picture at the Academy Awards. In 1990, Zimmer collaborated with Ridley Scott's director brother Tony Scott on the race drama Days of Thunder (1990), Green Card (1990) with director Peter Weir, and noir Pacific Heights (1990). Each established Zimmer in different genres, utilizing his mix of synthetic sounds and orchestral techniques. He reunited with Ridley Scott with the hit Thelma & Louise (1991), composed Backdraft (1991) for director Ron Howard, replaced George Delerue for Regarding Henry (1991), co-wrote a score with Basil Poledouris for White Fang (1991) and composed K2 (1991), although his music only appears in the European version. Zimmer returned with Rain Man director Barry Levinson for Toys (1992) and composed the score to A League of Their Own (1992). He worked with South African musician Lebo M. for the score The Power of One (1992) with its African influences and instrumentation. Zimmer continued with wide variety of styles and collaborators within his Media Ventures group, among them composer Nick-Glennie Smith, Mark Mancina and orchestrator Bruce Fowler. In 1993 he composed scores to both Tony Scott's True Romance (1993) and Cool Runnings (1993). His signature action style seemed to take off with Drop Zone (1994), with one of the melodies appearing in several future scores. Taking his African-inspired work with Lebo M. further, Zimmer composed the dynamic score to The Lion King (1994). While continuing to be one of Zimmer's most popular works, the score won the Golden Globe and Zimmer received his first Oscar. He certainly continued to work with a busy schedule with films like Beyond Rangoon (1995), Nine Months (1995), and action film Crimson Tide (1995) with Tony Scott. The latter score would be Zimmer's first Grammy win after two previous nominations. Around this time, up-and-coming arranger Harry Gregson-Williams began to compose more scores with Zimmer at Media Ventures. Many scores feature these additional composers like Broken Arrow (1996), The Fan (1996), Muppet Treasure Island (1996), and The Rock (1996) being a pinnacle of his Media Ventures collaboration - featuring music by Zimmer, Glennie-Smith, Don Harper and Gregson-Williams. While known for his action scores, his light score to The Preacher's Wife (1996) was nominated for an Oscar. He flexed his action muscles again with The Peacemaker (1997), adding conductor/composer Gavin Greenaway more. Zimmer's romantic side was shown with the score to As Good as It Gets (1997) with director James L. Brooks (the two had worked previously on 1994's I'd Do Anything). As Good as It Gets landed Zimmer another Oscar nomination. Also in 1997, the Broadway stage adaptation of The Lion King opened on Broadway, featuring bits of his score in different arrangements - which would go on to win Best Musical at the Tony Awards. After becoming the head of the music department for DreamWorks SKG, he scored the animated film The Prince of Egypt (1998), for which he shared an Oscar and Golden Globe nomination with Stephen Schwartz. Promising composer John Powell was added to the Media Ventures roster, and had music featured in Zimmer's moody score to The Thin Red Line (1998), his collaboration with director Terrence Malick. Even after Malick's rearranging of the original score, he received another Oscar nomination. 2000 was a hit year for Zimmer, composing music to the DreamWorks animated film The Road to El Dorado (2000), working again with Broken Arrow director John Woo in Mission: Impossible II (2000) which featured contributions by Lisa Gerrard and Heitor Pereira. It was a re-connection with director Ridley Scott that made the biggest splash. Gladiator (2000) lent him another chance to worth with ethnic-inspired music, haunting vocal solos with Lisa Gerrard, and large action cues. The best-selling album won the Golden Globe for best score, while receiving BAFTA, Grammy and Oscar nominations. In 2001, he continued with some directors like Golden Globe nominated Pearl Harbor (2001) with Michael Bay, and with Ridley Scott he composed the varied scores to Hannibal (2001) and the experimental score to Black Hawk Down (2001). More scores around this time include the DreamWorks animated Spirit: Stallion of the Cimarron (2002), thriller The Ring (2002) with director Gore Verbinski, Tears of the Sun (2003), Matchstick Men (2003) again with Ridley Scott, comedy Something's Gotta Give (2003) and his 100th film score -The Last Samurai (2003). Zimmer and fellow composer Klaus Badelt composed the score to Verbinski's first Pirates of the Caribbean: Curse of the Black Pearl (2003). 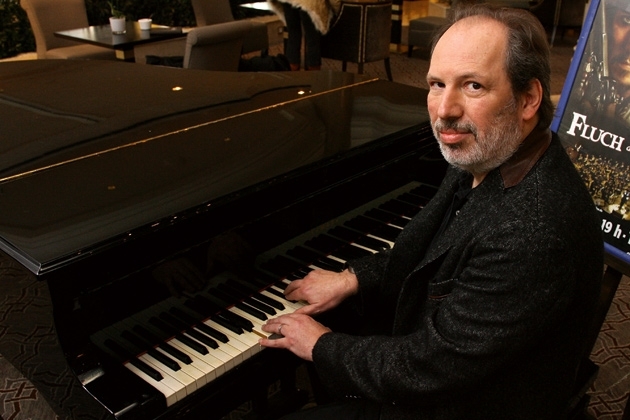 Composing the theme and giving Badelt composer credit, Zimmer credited himself yet again as "Over-produced by Hans Zimmer". It was December, 2003 that proved to be a tumultuous year for Zimmer and Jay Rifkin, who filed a multi-million suit against him. It was then that Zimmer split off and created Remote Control Productions for him and his fellow composers and arrangers. 2004 saw action film King Arthur (2004), animated film Shark Tale (2004), German film Laura's Star (2004) and Spanglish (2004) - reuniting with director James L. Brooks. The score gave Zimmer another Golden Globe nomination. Zimmer returned to DreamWorks animation with the fun Madagascar (2005) and returned with Ridley Scott for The Weather Man (2005). It was Batman Begins (2005) with director Christopher Nolan that caused his biggest splash. Co-composed with James Newton Howard, the brooding and chugging ostinato pattern became the blockbuster modern scores among his fellow composers. In 2006, Zimmer returned to the pirating world with Pirates of the Caribbean: Dead Man's Chest (2006), this time listed as lead composer. After a long break, Zimmer reunited with director Ron Howard for the adaptation of The Da Vinci Code (2006). Like Hannibal (2001), Zimmer skillfully mixed synthesizers and chorus and would be nominated for a Grammy and Golden Globe. 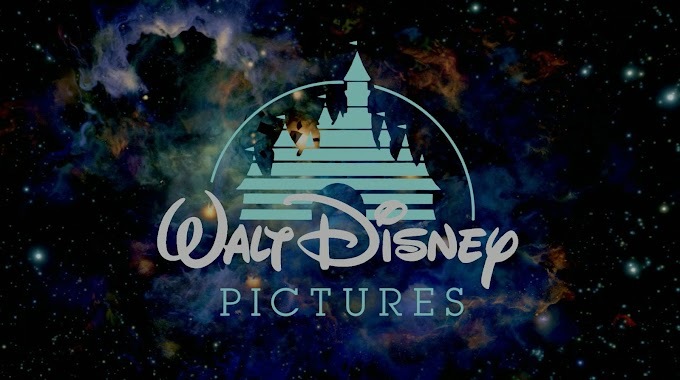 Of course, he finished off the Pirates trilogy with Pirates of the Caribbean: At World's End (2007), each adding new themes onto the previous ventures. With a very different style from his past films, he scored the The Simpsons Movie (2007). Again dividing the thematic material, Hans and James Newton Howard divided scoring duties for The Dark Knight (2008), bringing the music larger into the mix, and bringing their score into high demand. The score was nominated for a BAFTA and Grammy award. Other highlights around the same time include the subtle score to Ron Howard's Frost/Nixon (2008), which earned a Golden Globe nomination, and two DreamWorks animated titles, Madagascar: Escape 2 Africa (2008) and Kung Fu Panda (2008), the latter co-composed with past collaborator John Powell. He expanded his themes for the Ron Howard followup to 'Da Vinci' with Angels and Demons (2009), expanded into the video game score realm with themes for 2009's Call of Duty: Modern Warfare 2. Notable was his score for director Guy Richie's new take on Sherlock Holmes (2009). The score was nominated for a Grammy and Academy Award. The off-kilter and quirky score was co-composed by Lorne Balfe, who had risen through Remote Control Productions composing additional music and programming for various scores. 2010 saw another spike in interest for Zimmer, composing the brooding score for Christopher Nolan's Inception (2010). The booming score was nominated for several awards, including the Golden Globe, Grammy and Academy Award. Zimmer also shared scoring duty of the HBO mini-series The Pacific with Blake Neely and Geoff Zanelli, both of whom had appeared in several credits with Zimmer over the years. In 2010, he received a star on the Hollywood Walk of Fame, pretty rare for a film composer. His musical quirkiness fit nicely into the DreamWorks animated film Rango (2011), with a Western sound. Between 2011 and 2012, his thematic material alongside new themes would appear in numerous sequels, like Pirates of the Caribbean: On Stranger Tides (2011), Sherlock Holmes: A Game of Shadows (2011) which featured several gypsy improvisations, Madagascar 3: Europe's Most Wanted (2012) and a return to the blockbuster with The Dark Knight Rises (2012). Reuniting with Lisa Gerrard and Lorne Balfe, Zimmer composed the score to the TV mini-series The Bible (2013). Spreading to more superheroes, Zimmer scored Man of Steel (2013), returned to the Western with director Gore Verbinski for The Lone Ranger (2013). Among several upcoming projects, there is Rush (2013), directed by Ron Howard and eventually will score Interstellar (2014) for Christopher Nolan. Zimmer has really built and empire in film scoring, letting composers gain experience in various jobs as conductor, orchestrator, additional composer and using each other as mentors. Eventually, the composer gets their own gigs and can score movies successfully alone (many thanking Zimmer in the acknowledgements, or Zimmer has album producer). Some names from his "team" over the years include: Klaus Badelt, Lorne Balfe, Ramin Djawadi, Nick Glennie-Smith, Harry Gregson-Williams, Gavin Greenaway, Rupert Gregson-Williams, Steve Jablonsky, Henry Jackman, Trevor Morris, Blake Neely, Atli Örvarsson, Heitor Pereira, Marc Streitenfeld, Mel Wesson, Geoff Zanelli - to name just a handful. It is also this "team" that is divisive to score listeners and other composers. To some extent, many of these composers follow the same patterns and formulas into their own projects. Some object to Zimmer composing virtually long suites of thematic material and having his "team" actually put the score together from there. While that might not be the case, his recent composing style has certainly taken off for most blockbusters and large films. Of course his work in blockbusters, animated films and almost every genre is notable. He has worked with some of the best directors, and had long-lasting collaborations with Ron Howard, Ridley Scott, James L. Brooks, Nancy Meyers, Barry Levinson and Christopher Nolan to name a good number. With those large-scale films and best-selling albums, Zimmer is currently one of the most recognizable names (and sounds) coming out of film scoring today. At the rate he creates new scores, we'll have lots more to listen to.